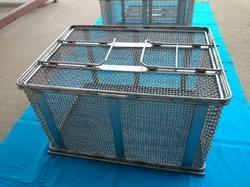 Manufacturer of a wide range of products which include ss fabricated chemical tank, stainless steel wire mesh baskets, heat exchangers, stainless steel hoppers, ss industrial washing trays and ss piping fabrication. Also, we are supplying these trays and baskets on large volume for advanced cleaning/washing systems in metal finishing industries. Write to us for your requirement. We offer shell and tube heat exchangers in Titanium and Stainless Steel construction which find applications in various industries such as oil refineries, chemical process plants, Causticl-Chlorine plants and tso on. 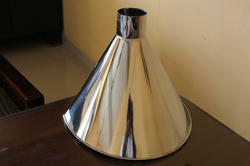 These are fabricated in accordance with TEMA and ASME standards. Our superior quality are widely appreciated for its excellent performance, easy installation, high corrosion resistance, excellent heat transfer and dimensional accuracy. Stainless Steel (SS304 Grade) Hoppers made exactly as per Customer specifications and Drawings as OEM supply.These hoppers are manufactured from mirror finish stainless steel and Uniforce regulary export these hoppers to food processing machine manufacturers in Srilanka. 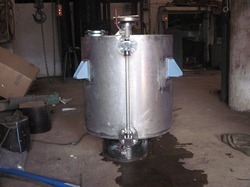 Manufactured and supplied for industrial washing machines used in surface treatment and metal finishing industries. 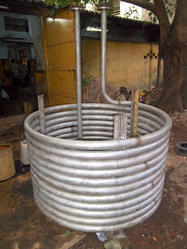 SS 310S catholyte circulation pipe fabricated and supplied as per drawing finds application Caustic-Chlorine Industries. 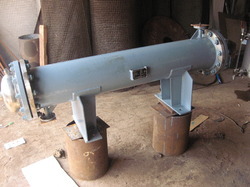 SS304 Pressure Vessel manufactured and Supplied as per customer specification withPressure certificate by Charted Engineer for16Bar. Type of vessel: Cylinderical with dished ends. We can fabricate the simplest bends to the most complex process coils. 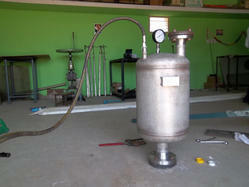 Uniforce has the skilled craftsmen and the fabrication machinery necessary to meet all of your coil needs. 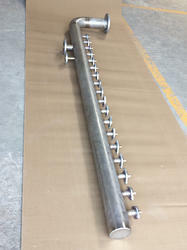 Our machinists build tooling as needed and our welders are third party approved, so whether you are looking for 1 small 1/8' OD tube coil or 100 large 6' pipe coils we can help you.